Kolkata: The Calcutta High Court has asked the West Bengal government to enumerate steps it is taking for ensuring speedy completion of trial in the AMRI Hospital fire case. Justice Joymalyo Bagchi directed the state government to inform the court on May 2 the steps it was taking to ensure speedy completion of trial in the fire at the south Kolkata private hospital on December 9, 2011 that had claimed 92 lives. Observing that hundreds of relatives of people killed in the devastating fire were waiting for completion of trial and a verdict, Justice Bagchi said that the trial should be completed within a reasonable period of time. Justice Bagchi made the observations while hearing a petition earlier this week by Dr Mani Chhetri seeking quashing of criminal proceedings against him in the trial court. The nonagenarian cardiac specialist claimed that though the license of the hospital had been in his name, he was not involved in the day-to-day operations of the hospital. 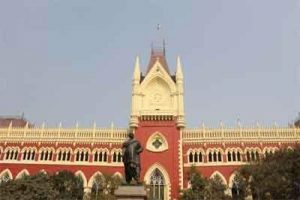 Public prosecutor Saswata Gopal Mukherjee opposed the plea of Chhetri, stating that the trial had already begun in the case at the Alipore district and sessions court. Submitting that Chhetri was a director of the hospital when the incident had taken place, Mukherjee claimed that the fire department had on various occasions cautioned the hospital authorities over storing inflammable articles in its basement. But corrective measures had not been taken by the hospital authorities, the public prosecutor submitted before the court. Mukherjee also stated that the magnitude of the fire that had claimed 92 lives should also be considered by the court. Chhetri, 11 other directors and four officials of the hospital have been charged with culpable homicide not amounting to murder which entails a punishment of 10 years in jail if found guilty. They were also charged under various sections of the West Bengal Fire Services Act, pertaining to violations of fire safety rules. Charges were framed against all the 16 accused persons, all of whom are out on bail, by the Alipore court on June 30, 2016.